As Andy Harrod’s website bio explains, he writes “not out of a desire to tell stories, but a need to understand, to develop meaning and connect with myself, others and life”. Fittingly then, his latest collection, Tearing at Thoughts from 79 Rat Press, is an unapologetically candid exploration of the workings of a mind – or series of minds – turning over experiences that are rarely talked about in public. There’s no contents page, no numbering even. This is a book to get lost in, literally. 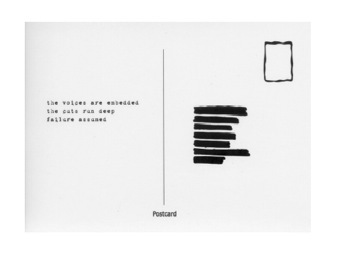 Poems and photographs are collaged with story-fragments and snippets of text juxtaposed at different angles, making use of font and sizing to emphasise and defamiliarise. Perhaps this is why, when first flicking through Tearing at Thoughts, I was reminded of Marie Calloway’s divisive What purpose did I serve in your life. There’s a real openness about the way these collections are put together – a careful DIY layering of a variety of media in order to build a human picture that is as honest as it is unflinching. Both make the reader question their own voyeurism, their desire to keep reading. Although Harrod’s experiments with form and medium are refreshing in their variety, the weight of the subject matter and the sheer volume of permutations of human suffering does get a bit much. 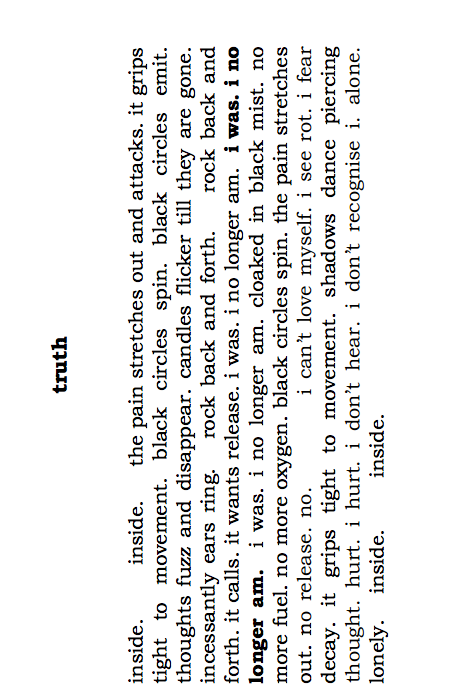 On top of this, abstract, sometimes vague language is used to grapple with the inexpressible, resulting in phrases like ‘failure assumed’, in the example above, and ‘conflicted and lonely pain shot through my mind’, in opening piece ‘Care to dance?’ In particular, the word ‘black’ crops up so often that it barely seems to mean anything; it becomes a sort of shorthand for pain, to the point where you begin to wonder whether there are other words that could have cut to the chase more effectively. However, this is a volume that deals with the difficult, the inexpressible. And the reality of these difficult experiences is that they are hard to talk about. Anxiety is nebulous and difficult to pin down; depression is a gradual deadening of the senses and emotions. Our thoughts get out of control; words quite literally fail us. So perhaps it’s as well that Harrod’s treatment of these subjects reflects their difficulty, their numbing effects. Interestingly, Harrod’s blog is titled ‘decoding static’, and this is just what this collection attempts to do – to forge a path through the noise of a disturbed mind, exploring every diversion and dead end. Googling Harrod threw up a review that described this collection as a ‘perfect summer read’. I’m not sure I’d take it with me for a relaxing day at the beach, but it’s certainly a bold collection, and a passionate one. Tearing at Thoughts is available to download for free from 79 Rat Press along with 5 other collections by Paul Askew, Sian S. Rathore, Kiran Millwood Hargrave, Emily Harrison and Jared Joseph. In this spirit, I have plunged into our archives and come up with eight recommendations of works that can be categorized as ‘self-published’, each interesting in its own right, but please, make use of the comment box to expand this. I found this task harder than I expected, partly as we have not systematically tagged works as ‘self-published’, partly because Sabotage is so invested in indie enterprises that it is hard to know where to draw the line. I have mostly limited it to works produced and written by the same author. I probably pushed the boundaries by also including an edited work in the selection but it is such a one-off published by Claire Askew’s one-woman micropress that it seemed churlish not to. Some of these reviews have aged better than others, and it was sorely tempting to edit out sentences patting self-publishing on the back for being almost as good their ‘professionally’ printed counterparts. What I have come to appreciate in the two and a half years of Sabotage’s existence is that yes, while self-publishing can equate work of dubious quality, it can also be a veritable treasure trove of unique and exciting ventures, and I hope that we bring more of the latter to light in years to come. Living Rooms Stories is the literary sister of a set of instrumental tracks by Icelandic composer Olafur Arnalds (Living Room Songs), for which he recorded a piece a day for seven days in his Reykjavik apartment. 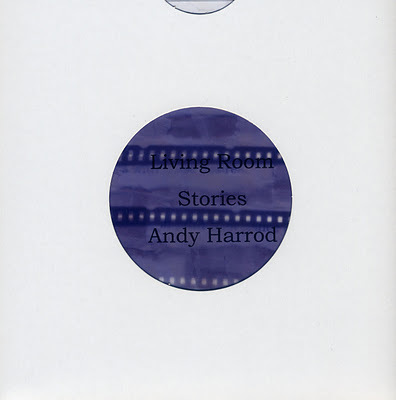 Andy Harrod’s literary counterpart comprises of short stories, each influenced by one of Arnalds’ compositions, following a couple as they contend with their own and each other’s emotions. Arnald’s music (consisting largely of piano arrangements that accompany delicate violin, viola and cello performances) is inspiring, and I feel it would be a struggle to not pen something of real quality off the back of it. But it’s having the idea to set it to ‘story’ in the first place that makes Harrod’s endeavours all the more fabulous. Living Room Stories is thus a highly original project. And you sense this before reading a single word: each story is written on the back of square card and they are presented in a neat vinyl record sleeve that is a nod to the collection’s musical influence. On the piece of card that introduces the collection, Harrod tells us that Arnald’s first song, Fyrsta, “flowed through me; I pictured a couple, I felt love’’. The corresponding story, ‘beginnings’, raises the curtain beautifully for what follows. disturbing the puddle at her feet, reflecting her worn out shoes. Memories of chalkboards, puzzles and a bearded face fill her. Memory of the past and its role in the present is clearly important to Harrod. In ‘the third person’ music is the instrument of memory recall and provides a direct invitation to the reader to consider the role of the past and how it affects the characters: “she hears the sweep of bows across strings in her head, repeating, repeating. It plucks at her memories”. The story develops in order to follow her thoughts at this point and, by now, a picture of a very troubled soul is being painted. Their mother smiles at their playfulness and how simple life can be. His body strains with effort, but it doesn’t hide his smile or the enjoyment in his eyes. He never thought that these days would be his. Beautiful. What’s more, its juxtaposition within a rather downcast narrative (in terms of the whole ensemble) makes this story all-the-more positive. There is, however, an ominous feel at this point. Like Arnalds’ corresponding song, Near Light, something is missing. Perhaps, deep down, the couple aren’t truly at one yet with their happiness and that closure remains a distant goal. The imperfect cadence at end of the song compounds this. Something isn’t right, and imperfection seems to supersede absolute positivity. Over the course of the collection there are no names, no places. Yet somehow the stories feel so ‘real’. Attachment to objects is limited because of the absence of proper nouns, and this heightens the sense that the emotions explored in the stories are universal and not only confined to the characters who illustrate them. Related to this is Harrod’s extraordinary ability to attach a lyrical and poetic quality to his descriptions. He likes to give us detail, to invite us into a scene, image or setting. This feels all the more deliberate when you consider that each story weighs in at a mere 15 lines on average, making references to detail all the more meaningful. What is the significance of the mulled wine glass, the ash from her cigarette, the child’s green balloon? Parochial detail is abundant and helps make the characters and their emotions as real as possible. The order of Arnald’s original pieces has been cleverly re-aligned in order to create a saddening history of our couple. It is more than simply a like-for-like, ‘story for each song’, rehashing of the Icelander’s collection. Rather, it is an artistic interpretation, a beautiful tribute to a fellow artist’s work, and represents an innovative means of finding inspiration. At its heart, Living Room Stories is a study of love and emotion, characterised by the torment, heartache and hope that consumes our couple.“The focus was on love, love as destructive when conditional … and love as healing when truly unconditional. I wanted to keep this theme uncluttered, for without love I fear we are nothing”, Harrod tells me. What a collection this is. It would be no exaggeration to say that I have not taken pleasure out of a reading ‘experience’ quite like this before. I think that this was helped by reading each story aloud while listening to the corresponding piece from Arnalds’ collection. Harrod’s work should be regarded as a new form that calls on influences from literature, poetry and music. This project is a stunning marriage of the three, and I cannot wait to see what comes next.